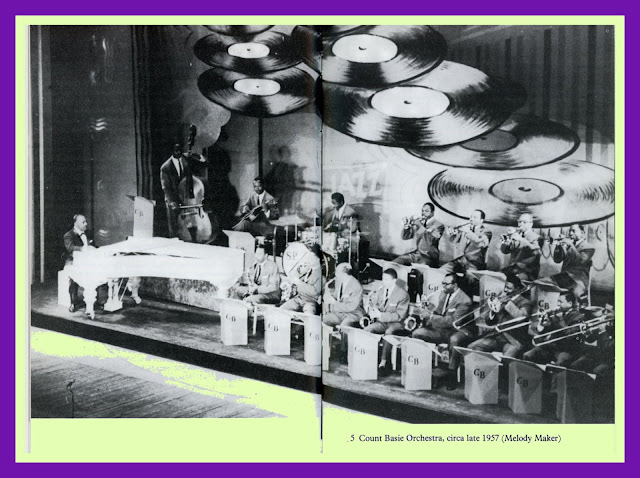 “World War Two ended in August, 1945 at a time when Count Basie was ensconced on the West Coast, fulfilling engagements at the Casa Manana and Club Plantation as well as a number of theatres. The band came West at the beginning of July and did not return to New York until November when they once again rocked the Lincoln Hotel to its foundations. Clearly Basie was on the crest of a wave of popularity with all manner of audiences, from hotel patrons to service men. The band contained a couple of young men who were destined to go on to greater things. 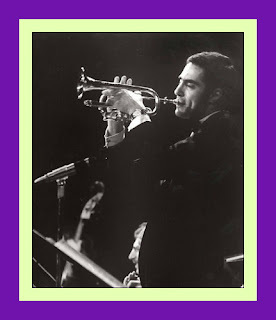 Jay Jay Johnson, then 21 years of age but already a veteran of the Benny Carter orchestra, was in the trombone section along with Dicky Wells, Eli Robinson and Ted Donnelly. Illinois Jacquet, a year or so Johnson's senior, had taken Lucky Thompson's place on what had now become, traditionally, the solo tenor chair. Basie featured them strongly, using Johnson's arrangement of Rambo (which featured 16 bars of Jay Jay's solo trombone) and scores such as Mutton leg (a Harry Edison tune dedicated to Ted 'Mutton Leg' Donnelly), The king and Stay cool, all of which had solo choruses by Jacquet. The trumpet section also had two important additions in Joe Newman and the sadly underrated Emmett Berry. 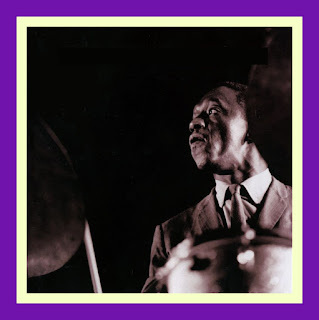 By the summer of 1946 the All American Rhythm Section was together again; Jo Jones, out of the army, took over the drum stool from Shadow Wilson while Walter Page and Basie made up whatever differences had caused the rift nearly four years earlier. Records from the period indicate that Count was by no means unaware of the new direction jazz was taking and Henri Renaud, in his invaluable and exhaustive 20-LP compilation of Basie's recordings from the Columbia and Okeh files, discovered a previously unissued version of Tadd Dameron's Stay on it recorded by Count in July, 1946, a year before Dizzy Gillespie was to record the same score. The contract with Columbia was running out and Basie made what may be considered another dubious decision. 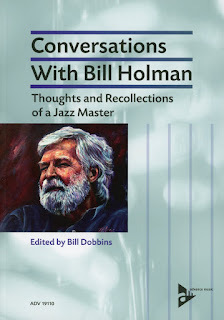 Let John Hammond, who was then working with the new Majestic company, tell the story: 'My major objective after I joined Majestic was to bring Basie with me and I persuaded Gene Treacy and Ben Selvin to offer him a very good contract. It guaranteed him twenty five thousand dollars a year for three years with a minimum of sixteen sides and albums included. It also contained the provision that if I should leave the company, the contract could be cancelled. Basie was still being booked by the William Morris Agency, although Willard Alexander had left. The agent who ran the office and called the shots for Basie was Sam Weisbord. Basie's personal manager was Milt Ebbins, a man with whom I did not get along too well because I never felt he had Basie's best interests at heart. To this day I have no idea what took place between Ebbins and Weisbord. All I know is that I went to California with the Majestic contract to meet with Weisbord and Basie. When I reached the William Morris office I found Basie had already signed with Victor. I knew RCA Victor would not promote him properly, that it was the end of the Basie band on records, and I said so. But whether Basie was in debt at the time, or Ebbins and Weisbord considered Majestic no place for him, I never discovered the reason for his refusal to sign our contract. The next night Basie and I were on a radio programme together. As we left the studio Basie turned to me and said "John, I've never been so ashamed of myself in my life". He was in tears, and because of the frustration I felt, so was I'. The RCA contract commenced with a recording session in Los Angeles in January, 1947 and was to continue for three years. While there certainly are some excellent records from the period, including some fine small band titles, Jimmy Rushing vocals and a magnificent Shoutin' blues which gives some indication of the band's zest, in general Hammond's fears were realised. There are dire vocals and several unsuitable choices of tunes including lacklustre 'cover’ versions of other artiste's hits, such as Open the door Richard. But the fault was certainly not wholly Victor's. Basie himself seems to have lost his direction, musically speaking, and seemed to be casting around for a new identity. It is easy, with hindsight, to criticise him and to point out that he should have persevered with the style of big band jazz he had created. The fact of the matter is that by 1948 the dancing public had changed and the new clubs wanted the 'new music' of Dizzy Gillespie, Stan Kenton and Woody Herman. Basie, who mixed more with his musicians than any other leader, was probably under a certain amount of pressure in the band coach from sidemen anxious to turn him the way they wanted to go. 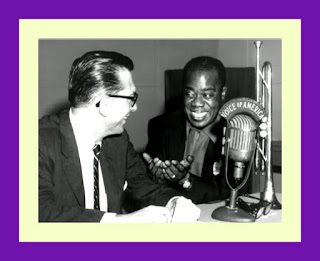 When Leonard Feather conducted a blindfold test on Basie in the summer of 1947 he found Count very enthusiastic about Gillespie's One bass hit ('Sounds like the boss, Dizzy. But Red Rodney plays terrific like that too. Arrangement very interesting - tells a story from start to finish. Four stars') and concluded with the remarks, 'I'm from the old school. I'll take the settled old swing with less notes, things that are really simple - but I like to listen to other types. The youngsters in my band support the modern part of the music. And I definitely approve of the way jazz is going. As far as bebop is concerned, it's real great if it's played right, and I think it's really taking effect. I have records that I play all the time, trying to understand. Diz and Parker and Jay Jay and Red Rodney - kids like that are really doing it'. The 'youngsters' in his band at the time included Paul Gonsalves, who had taken over on tenor when Norman Granz made Illinois Jacquet an offer he could not afford to refuse in order to join the touring Jazz At The Philharmonic group. (Jacquet took Joe Newman with him when he left Basie.) By 1948 Count had more 'youngsters' in the ranks including trumpeters Clark Terry and Jimmy Nottingham, Shadow Wilson back on drums and Wardell Gray taking over the principal tenor chair from Buddy Tate. The band was being booked into bop clubs such as the Royal Roost and Bop City rather than the Lincoln Hotel; Jimmy Rushing left to form a small band of his own and by the end of 1949 only a handful of Count's men had been with him for any length of time. Jack Tracy reviewed the band's appearance at Chicago's Blue Note during its December 5 to 11 booking (Downbeat, January 13, 1950) and headlined his column 'Basie best of what's left?'. He pointed out that both Woody Herman and Charlie Barnet had been forced to disband due to poor business leaving Basie 'as the best jazz band in the jazz purveying business'. He went on to say that 'the crew is an amalgamation of about every music style in the books. There are Kansas City men Basie, Freddie Green and Dicky Wells; swingsters (Emmett) Berry, Earl Warren, Jack Washington etc. and modernists (Wardell) Gray and drummer Butch Ballard. The rest fall somewhere in between. But this crew is doing quietly and without fanfare just what Dizzy Gillespie made a big issue of- giving the customers bop with a beat, music that is entirely danceable if you want to use it for that'. But Tracy was too optimistic; four weeks after the Blue Note booking Basie broke up his big band and went back to work on February 10,1950 with a small group. Again the problem stemmed from management and booking; Count had been handled by General Artists Corporation throughout the whole of his RCA Victor contract period and succeeded in getting his release from GAC in January 1950 when he returned to Willard Alexander. It was Alexander who issued a statement saying 'Basie's big band has been badly handled in the last couple of years. It was destroyed as a box office attraction. The small group is a temporary expedient with the current conditions of the band business in mind. The combo might wind up as a permanent unit or, if conditions warrant it, he might go back to a big band. It just depends on what will make the most money for Basie'. Vague talk of a possible European tour by the sextet in April, May or September (none of which actually took place) made it obvious that neither Alexander nor Basie had much of an idea of what the future held. The breakup of the big band had been due to nothing but failing business. Keeping such a large unit in being obviously caused many headaches and a combination of circumstances made it possible for Basie to pull a sextet together for a 'hand-to-mouth' run of bookmgs. The group came together because clarinettist Buddy De Franco was put into the unit by his new manager, Willard Alexander. 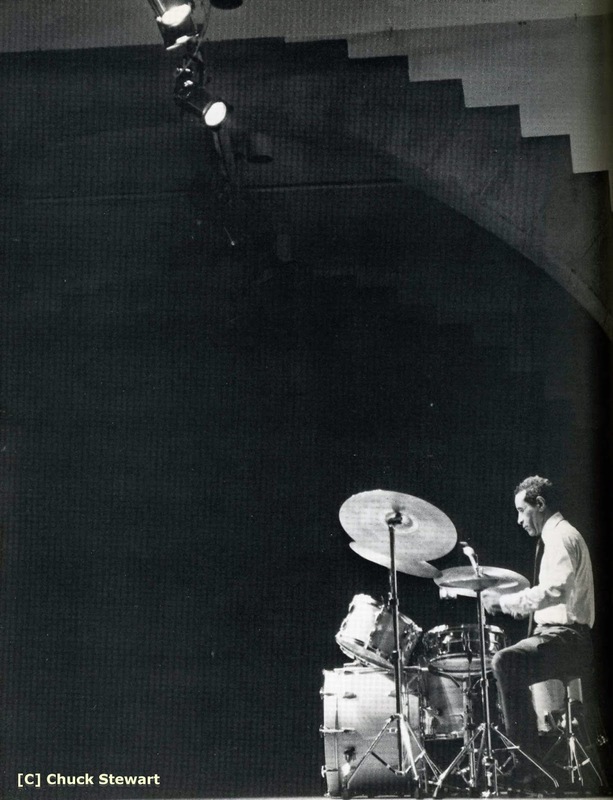 Drummer Gus Johnson, from Chicago, had worked with Count several years before; Basie remembered hearing bass player Jimmy Lewis in Louisville and called him while Clark Terry, the only member of the sextet who had been with Basie's last big band, recommended tenor saxist Bob Graf from his hometown of St. Louis. When the group went into the Brass Rail in Chicago on February 10, the patrons, used to 'pantomime acts and cocktail trios' according to Down Beat magazine, were fascinated to see, in person, a major name from the worlds of records and films, albeit leading probably the smallest unit he had ever fronted. While the titles made by the small group are delightful, they lack the suppressed power and excitement of any previous Basie recordings and on Little white lies, which has one of the greatest of all Wardell Gray's ballad solos, Count comes on like Bill Snyder, a non-jazz pianist then enjoying considerable popularity with his piano-and-orchestra version of Bewitched. In January, 1951 De Franco left to form a band of his own and was replaced by Rudy Rutherford. Then, in April, Basie had the chance to put together a sixteen-piece band for a one week engagement at New York's Apollo Theatre. He rushed the band into the Columbia studios to record his first big band sides since August, 1949 including a splendid version of Little Pony. Neal Hefti, who shared much of the writing for the sextet with De Franco, provided the scores and the band contained outstanding lead musicians in Al Porcino (trumpet) and Marshall Royal (alto). But there were no other big band gigs in the offing and Count was forced to reduce to a small band again. 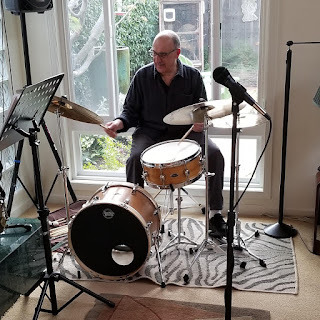 In fact this became the pattern for the year; a week at Birdland in April with a septet containing guest trumpeter Buck Clayton, then a big band booking at the Strand Theatre the next month. This was the band that Basie faced 1952 with, and a somewhat uncertain future it was for most big bands had already gone to the wall. The bright light was a new recording contract, signed with Norman Granz for a three year period (with options), and two sessions lined up in January. Trumpeter Joe Newman came back into the band and the strong trombone section comprised Henry Coker, Benny Powell and Jimmy Wilkins but perhaps the most important recruit was Marshall Royal on lead alto. Royal had been playing clarinet in the septet and did not expect to remain more than six months in Basie's employ. 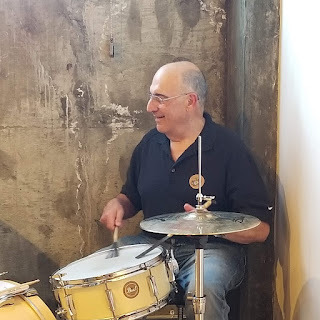 In fact he was promoted to the position of deputy leader and took many musical responsibilities off the Count's shoulders as well as shaping the saxophone section into one of the very finest teams jazz has ever known. The blend of the five men, their time keeping and their ability to play quietly has been a hallmark of the Basie band since the early Fifties and the major credit must go to Royal. 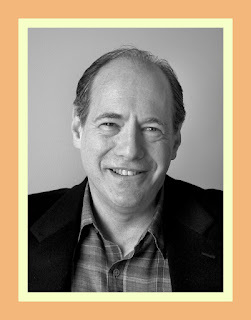 Although he himself is a somewhat sweet-toned soloist he has always known how to get the very best from his colleagues.